Exclusively fortified with three active agents, the BAKEL Lactobionic Anti-Age Serum is an innovative anti-age formula that works to nourish, firm and protect the complexion. Combining nourishing vegetable glycerin with antioxidant lactobionic acid, the serum effectively improves cutaneous turgor and protects the skin from sun induced blemishes with gluconolactone. Expect improved tonicity, texture and protection. 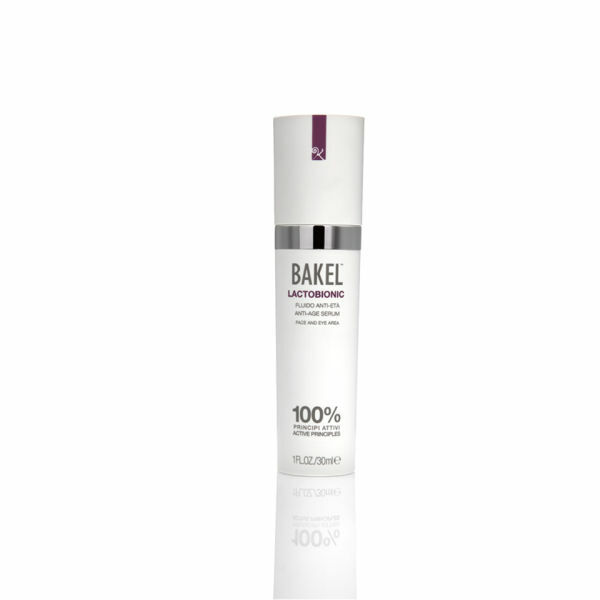 BAKEL utilise 100% natural active ingredients in all of their products, ensuring whatever touches your skin is good, natural and pure. With no perfumes, alcohol, artificial colours, preservatives or animal derivatives, every BAKEL treatment is dermatologically tested and boasts minimal allergy risks. Built upon a strong foundation of objective confirmed and scientifically proven formulas, BAKEL products are suitable for all skin types and fight against the main causes of skin-ageing. - K.N.